Experts agree that biggest challenge facing hot mix asphalt (HMA) pavements and preventive maintenance applications today is reducing cracking that appears to soon following construction. These cracks allow water to infiltrate the pavement structure causing premature degradation which leads to costly repairs, inconvenience to motorists and disruptions to commerce. Road Science’s MicroTekk® Flex is a highly flexible micro-surfacing asphalt technology engineered to provide the higher level of strain tolerance needed for better crack resistance. 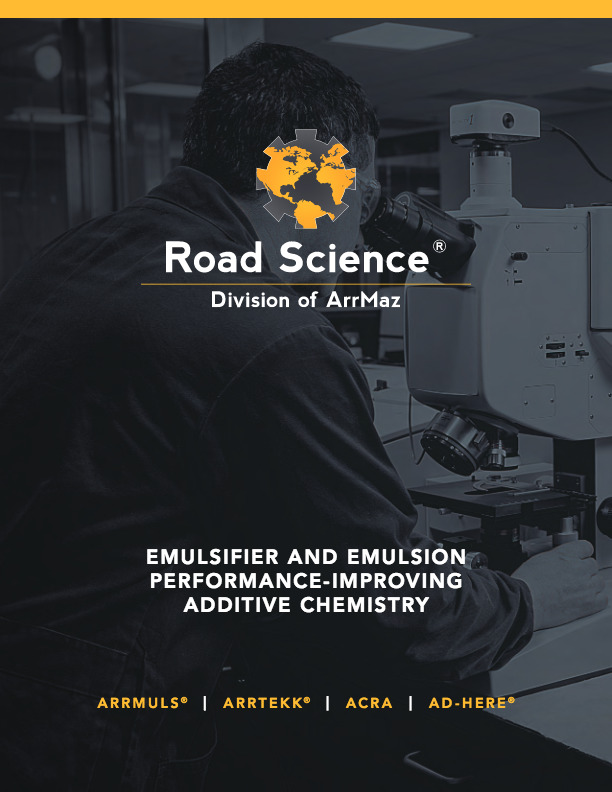 The MicroTekk Flex system is different from conventional micro-surfacing because it integrates ArrTekk® chemistry, a unique polymer-modified asphalt emulsion and specialized fibers into the mix to meet performance-related specifications which include crack-resistance testing. Using the Texas Overlay Tester to characterize micro-surfacing flexibility and crack resistance, MicroTekk Flex is designed to exceed well over 100 cycles of strain, demonstrating superior crack resistance compared to conventional micro-surfacing which typical fails after just 1 or 2 cycles. Let Road Science put MicroTekk Flex micro-surfacing asphalt technologies to work for you.